This is a guest post from the lovely Chetana! I meant to get this post up a LOT sooner! I am so sorry that it took forever! How much do we love to watch a Peacock opening up its beautiful colors. The stunning beauty of a peacock when it spreads its extravagant tail is mesmerizing and the vivid display of colors is absolutely stunning. Peacock is India’s national bird and a lot of designers, artists, photographers, nature lovers, makeup enthusiasts, hairstylists and many others draw inspiration from this beautiful bird in their work. 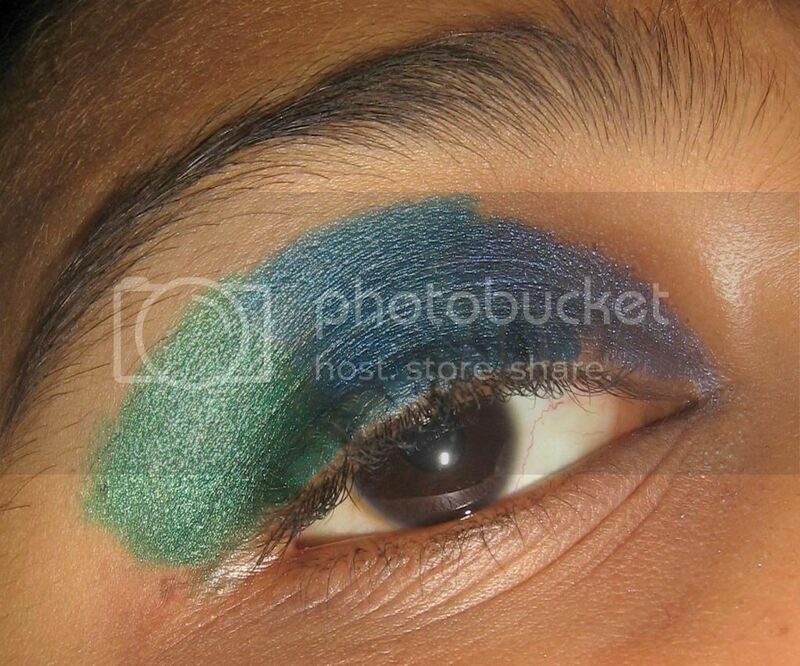 Check out my interesting eye makeup tutorial inspired from India’s national bird, Peacock! First prep the eye makeup area by applying a primer on the lids. Using a primer will ensure that the eye makeup stays longer. 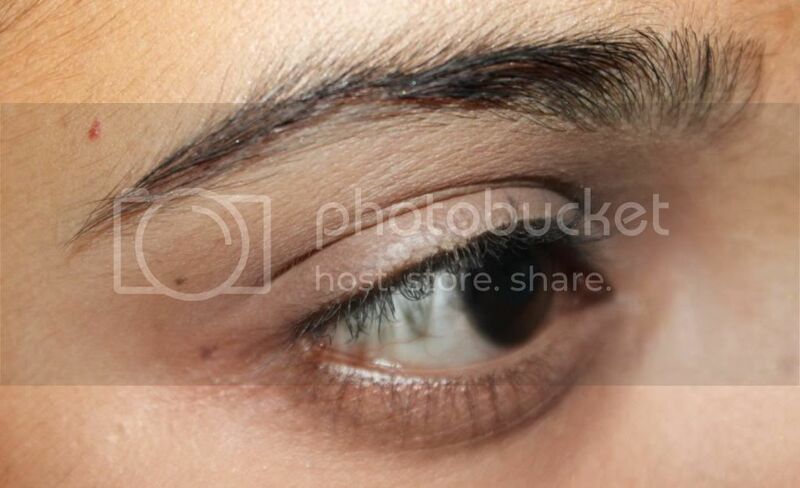 Also conceal the under eye area well to hide the dark circles and spots (if any). Imagine the colors on the feather of a peacock. It starts with the deepest blue shade in the middle, so we will start with the dark blue shade in the inner corner of the eyes. 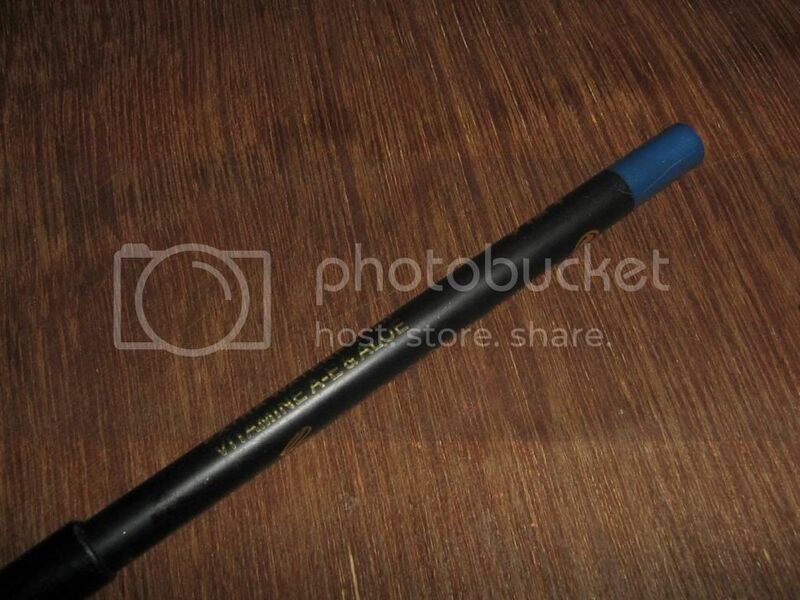 Start off with applying a little bit of the dark eye shadow using a pencil brush or a narrow top brush. Take the blush green shade and apply it in the middle of the lid with an eye shadow brush. I used an eye pencil for this shade. 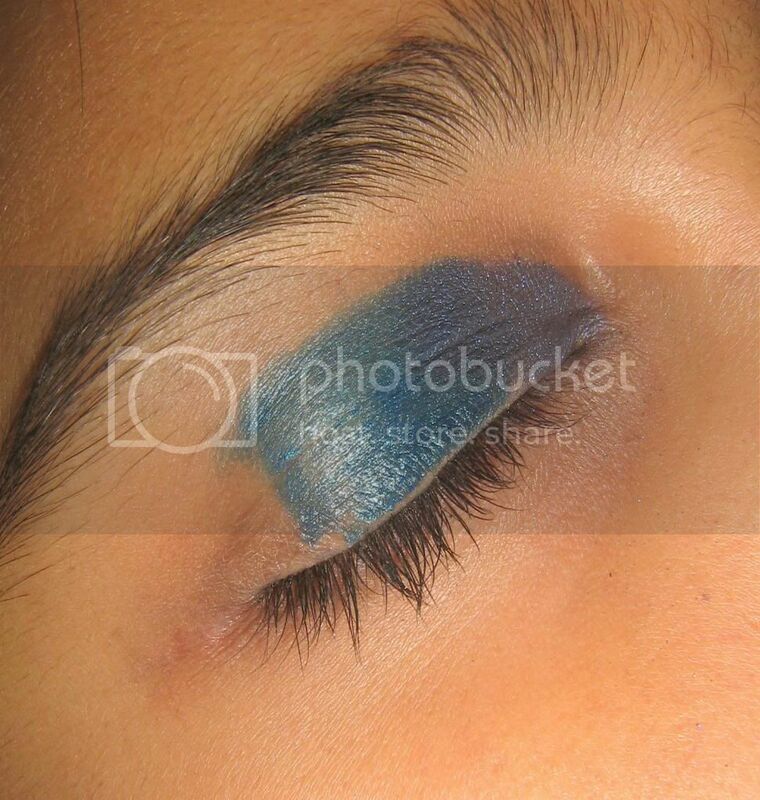 You may use an eye shadow or a colored pencil for it. 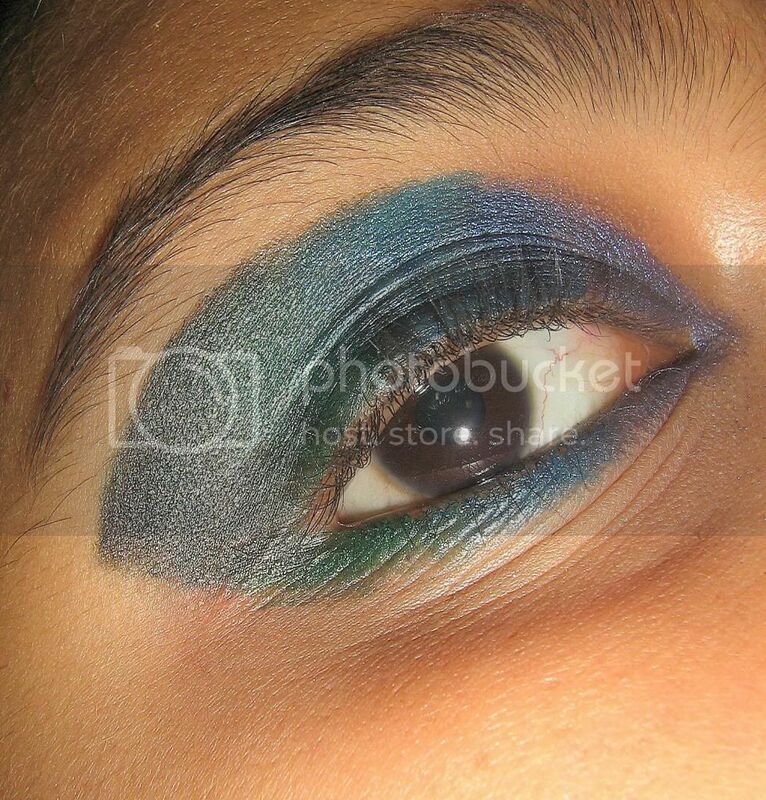 Now apply the green shade on the outer corner of the lids. I used a green eye pencil from Try Me. 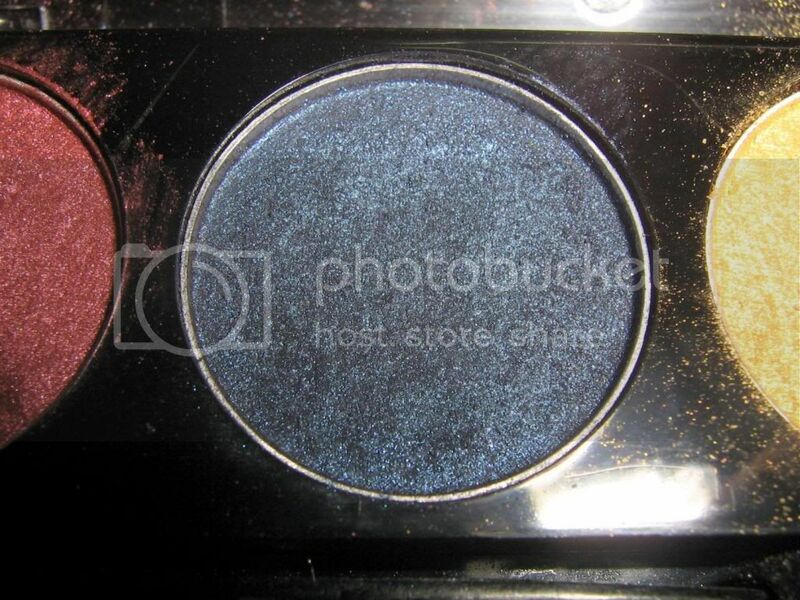 Now blend the first shade with the second shade and the second shade with the third shade. Use wiping motions to blend it using a blending brush. 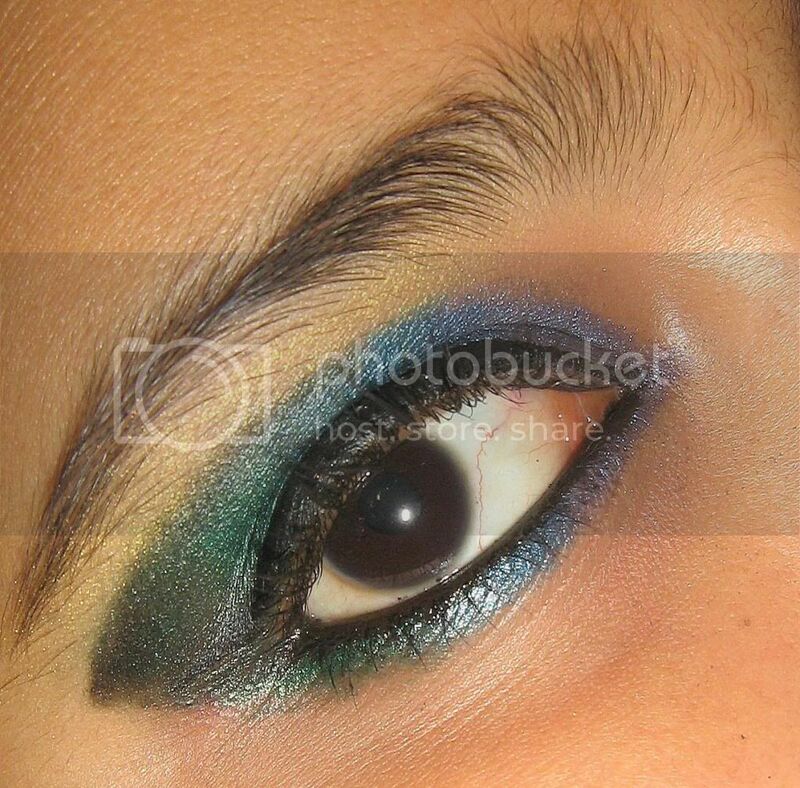 Then take a bit of a black shadow and apply it on the outer area of the eyes (where the green shadow ends) and blend it with the green shadow. Use the three shades again for the lower lash line too. 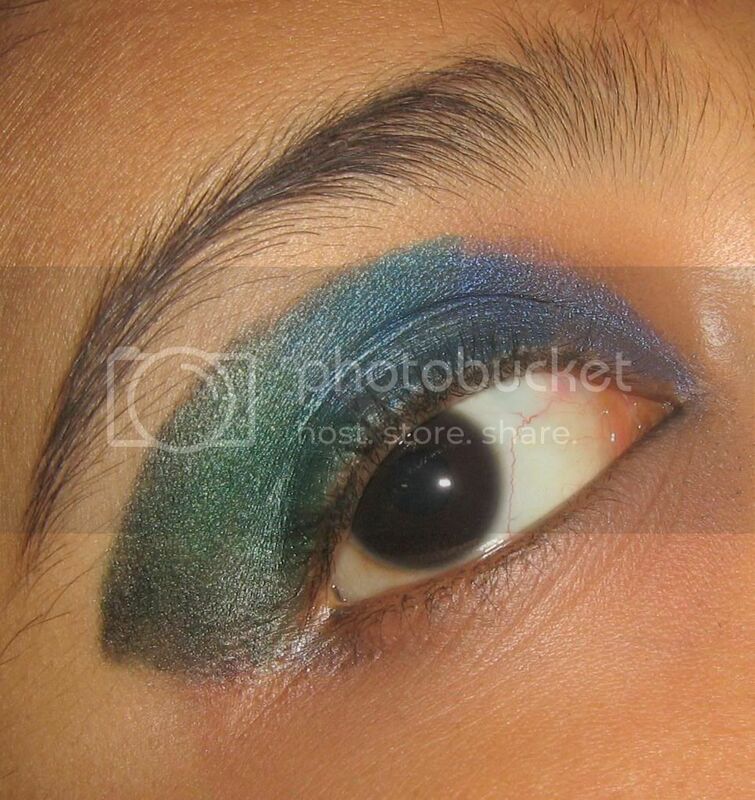 Apply one by one, the dark blue shade in the inner corner, followed by the bluish green and end it with the green shade. 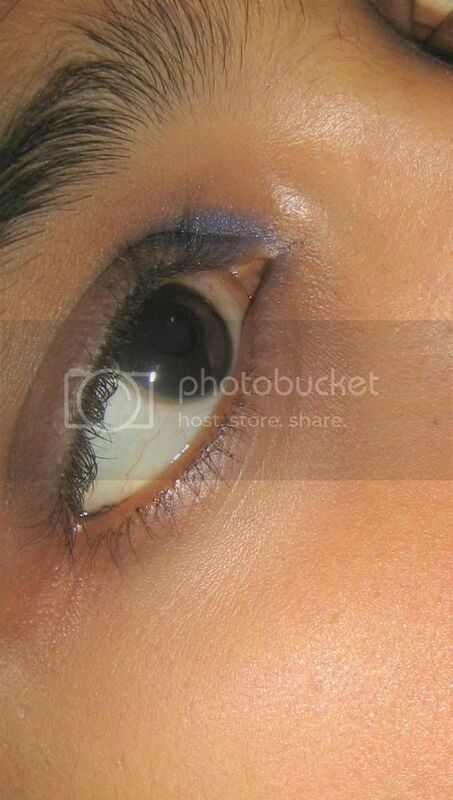 Apply eye liner to the eyes making a thick line. Also apply kohl to the inner rim of the eyes. Apply a coat of your favorite mascara to complete the look. Now take a bit of a highlighter shade and apply it under the brow bone to highlight the eyes. 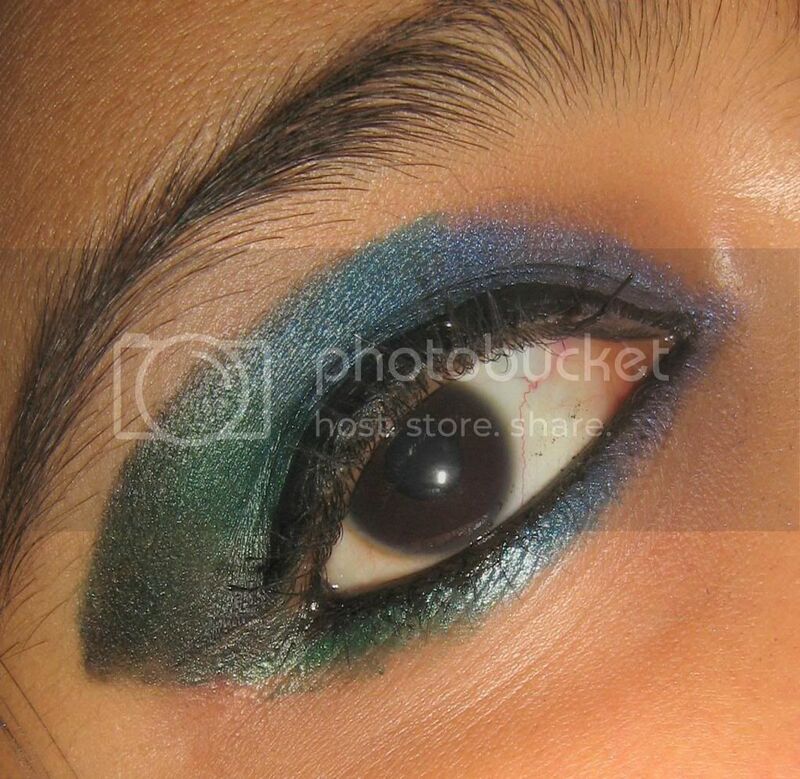 And voila, the peacock eye shadow look is ready. Do visit again for more Stylecraze makeup tips and tutorials. 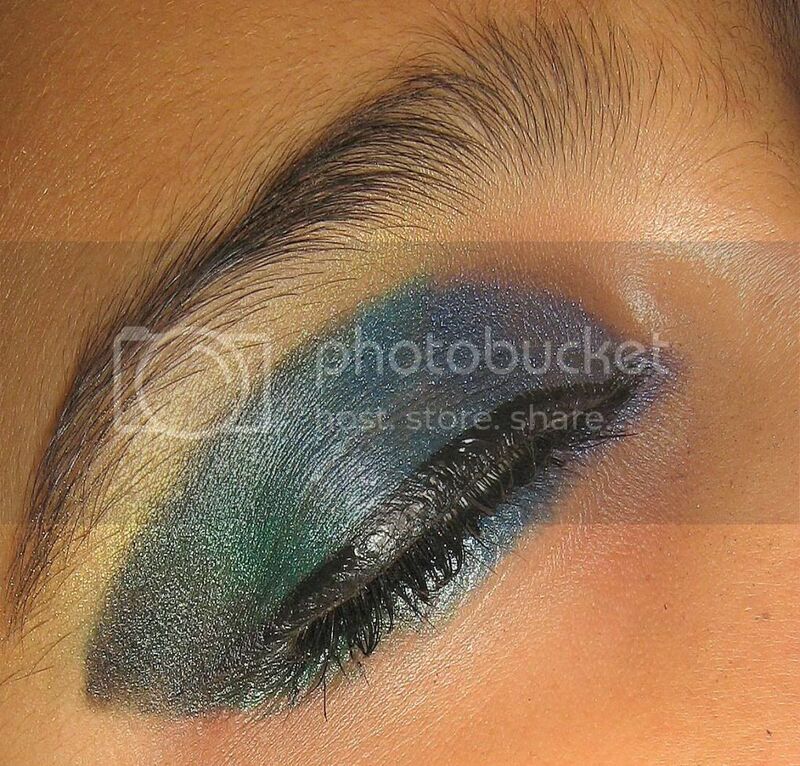 I am absolutely in LOVE with this eye look! Fantastic job! Go check out Chetana on StyleCraze you will not regret it! !